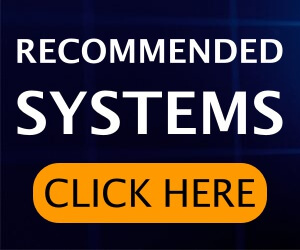 Financial Freedom System Review - Avoid This Scam! In the world of Binary Options Trading, it is never too late to learn about all the new Binary Options Trading softwares and app that pop up every day. A lot of which are a scam and a handful being legit. So it won’t be long until you face a scam for yourself if you are new into Binary Options Trading. And such a similar system that we are going to talk about today is another famous scam which has took over the trading. Let me introduce you to “Financial Freedom System”, this so-called Binary Option Trading company came up in the market and took over like a storm, but not for helping investors for making money but for robbing money out of people. 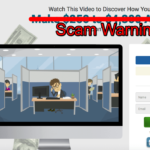 So, here in this review, I will be talking all about the tactics that Financial Freedom System has follow to try to trick the visitors into investing with their scam company. When it comes to binary options scam, who can do it better than Financial Freedom System. One of the most entrusted in the scam industry. Like father like son, the Financial Freedom System scam is a lot like the all another scam that you may come across nowadays. 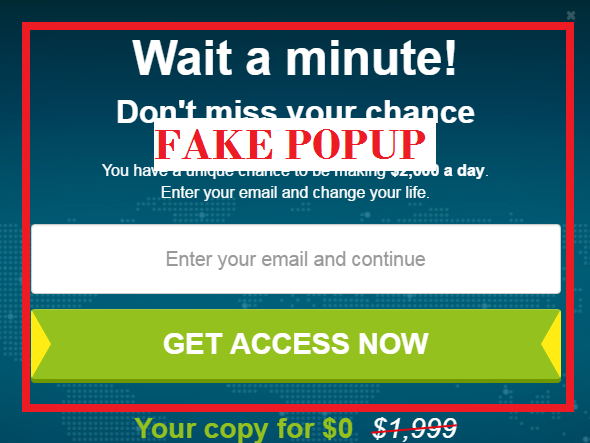 The site starts with a similar look like a scam but a little upgraded which included a so-called offer for the day where the visitors can get a $1,999 copy for $0. Also check out our Gemini 2 Review & Quantum Code Review. Daily Live Profit? Real or Fake? Moving on below, you will be able to notice that a daily profit margin of users which so definitely a fake one if you re-login into the site from a different device then you will be able to see that the profit has been reset. 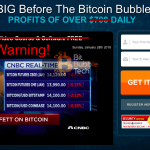 And also for the fact that Binary Options Trading money doesn’t just go up steadily but with their site it was sky rocketing through the roof with every second and every minute. The wolf pack leader can be seen just below who is named William Griffin, who is the founder of Financial Freedom System. Well, who is William Griffin? He is no one but a simple stock photo individual, who’s photo has been used here. He goes on by saying that he is really happy that the specific visitor has visited the site and also says that the visitor was able to reach the site because they have been invited privately and they were the first 45 who are going to get the software for free. And then who ever want to get the software has to buy it for $1999. Well, this is where I got the hint that Financial Freedom System is just another scam, as I didn’t get any special invitation nor did I get any cost to carry out. All I got was a scam to attract the visitors to join in there. Also, the Financial Freedom System claims to make you over $200 daily but in the video or the site you won’t be able to see any facts from where and how this huge amount of money is made. One of the most shocking thing that made me believe that this is really a scam. The so claimed offer that said that the first 45 can avail the free software invitation and it was clearly shown it the bottom that the existing number of investors were over 51. But the visitors were still said to be given the software even through invitation which in my case didn’t avail any of the above. You will also be able to view a lot of testimonials on the Financial Freedom website, who claim to have earned a lot of money with the help of Financial Freedom System. But is it really the truth? Well after researching a little I found that the photos that were used in the testimonials identity were also from stock photos. 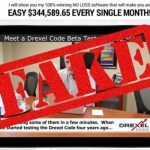 Which is obviously one of the most common scam tactics which has been commonly carried out by most of the scam companies and sites? Should You Invest When You Get an Offer? Just when I thought that all their tactics were over, I was banged in the head with a popup saying that I had only a minute to signup and start earning which was indeed an excellent way of pushing the visitors to invest in a hurry. Let’s wait here and talk about one specific topic! 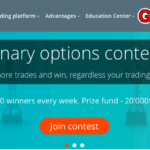 Which binary options trading company would ever try to rush an investor into investing quickly? NONE! No legit binary options trading company will ever force you into hurrying up to sign in and invest. It is because of the fact that Binary Options Trading is time and decision sensitive. And for this fact, I waited for my 1-minute offer to be over and all I found out was that the popup still did pop right up after I was 15min down in the Financial Freedom System site. And this proves that every act in this system was related to the scam. Verdict – Financial Freedom System is a scam! Avoid It. Well, Financial Freedom System is a proven scam, so I would like to suggest you stay away from this site or this company. 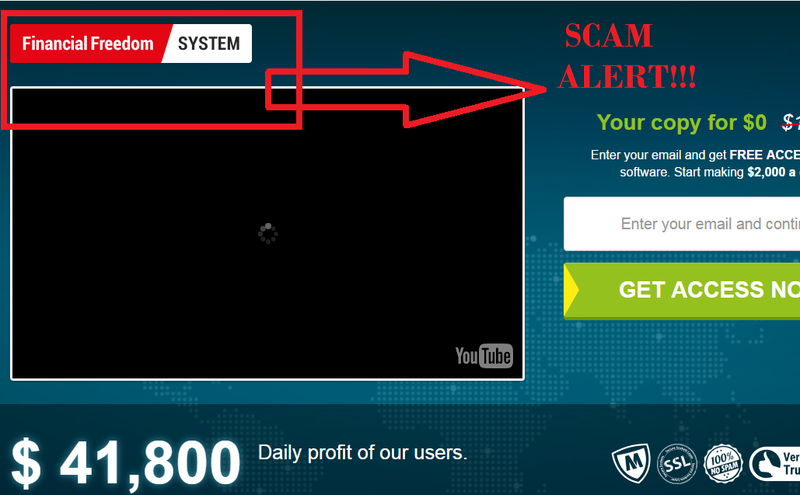 And now that you have also learned a little on how you can identify a scam company or site for yourself, hope you will be more aware on where you can invest and from which system you should stay away from. 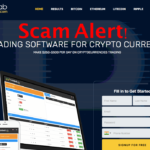 Coin Bot Lab Review – Stay Away From This Scam Trading App!